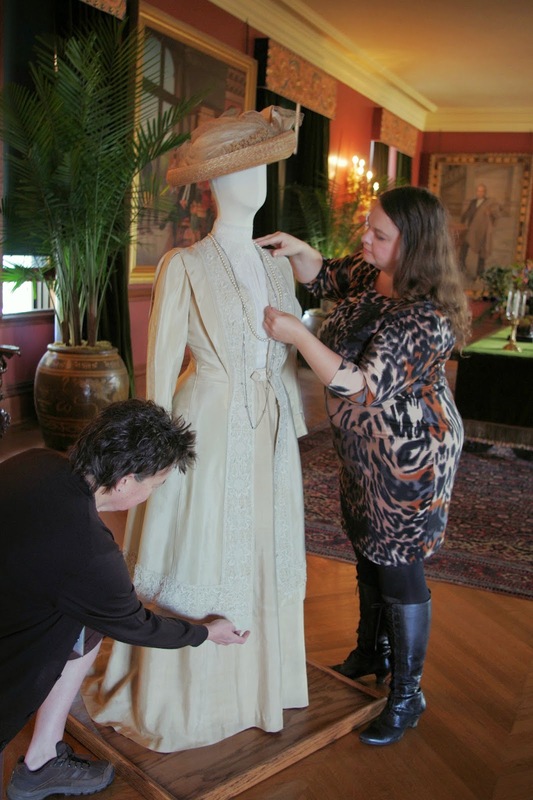 On Wednesday, October 1, Biltmore’s conservators debuted the first costume within the “Dressing Downton: Changing Fashion for Changing Times” exhibition premiering at Biltmore Feb. 5, 2015. The costume is on display for visitors to view in the Second Floor Living Hall in Biltmore House now until the exhibition’s opening day on Feb. 5. The preview costume was worn by Dame Maggie Smith as Violet Crawley, the Dowager Countess of Grantham, during season one of “Downton Abbey” covering the years 1913-1914. Violet’s wardrobe is designed to enhance the character’s imperious nature and to reflect an earlier Edwardian style, rather than following the modern fashions of the younger members of the family. 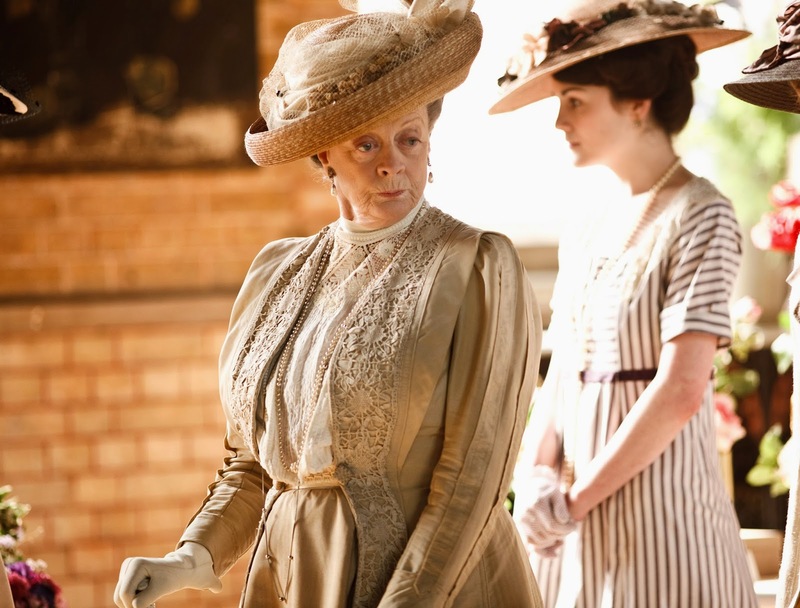 Maggie Smith wore this costume for the flower show and garden party in episodes 5 and 7. The alpaca coat and silk skirt were newly made by costume house Cosprop for Susanna Buxton, the show’s Emmy award winning designer, whereas the cotton blouse is a melding of old lace and contemporary fabrics. “Dressing Downton: Changing Fashion for Changing Times,” opens Feb. 5 and continues through Memorial Day, May 25, 2015. Designed by Exhibits Development Group in cooperation with Cosprop Ltd., London, the exhibition features more than 40 costumes from the popular PBS series “Downton Abbey.” The clothing will be showcased in rooms throughout Biltmore House in groupings inspired by the fictional show and by real life at Biltmore, the grand Vanderbilt estate of the same era. For more information, go to http://www.biltmore.com/media/newsarticle/downton-abbey-costumes-at-biltmore.